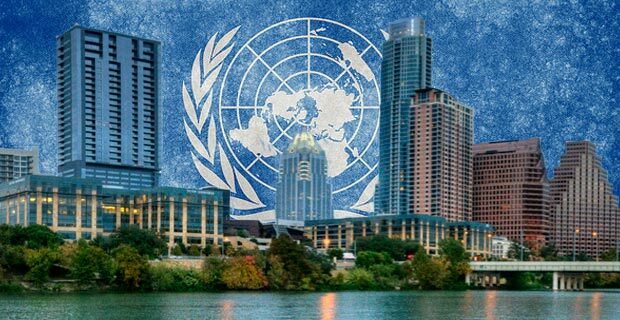 The Southern Poverty Law Center recently admitted that proponents of the United Nations’ neo-feudalism program known as Agenda 21 are losing public support due to the ever-growing influence of grassroot organizations. In its latest report entitled “Agenda 21: The U.N., Sustainability and Right-Wing Conspiracy Theory,” the SPLC indicates that the implementation of Agenda 21, a United Nations program designed to replace private control of land with government planning, is slowing down due to successful resistance by liberty activists across the country. Signed in 1992 by President George H.W. Bush and later phased in by President Bill Clinton, the United Nations Agenda 21 Sustainable Development program is based on communitarianism, which calls for government to eventually take control of all land use without leaving any decision making in the hands of private property owners. Another good example of how Agenda 21 is currently being implemented is to look at the explosion of “mixed use” condos being built in American cities which feature retail stores on the ground floor with several residential floors above. These buildings are designed to keep people from traveling long distances by placing businesses within walking distance, but the stores on the ground floor typically stay vacant or are filled with businesses which seem out of place with the surrounding neighborhood. And despite being fiction, the megacities in the comic series Judge Dredd feature many planned aspects of Agenda 21, a scary scenario even if real cities never completely match these fictional counterparts. The overall intent of Agenda 21 is to expand government power at the expense of individual liberties by making the population more dependent on city infrastructure controlled by the government. While the SPLC and other Agenda 21 proponents constantly harp that the program is “voluntary,” it is a moot point when so many cities are already implementing Agenda 21 which clearly benefits the government at the expense of its citizens. “The plan is to restrict your choices, limit your funds, narrow your freedoms and take away your voice,” Koire added.